Malaysia is home to many quality electronic and electrical consumer products through homegrown entrepreneurial efforts. Some of these brands have made a significant impact in the consumer electronics industry locally and also internationally. Here, Top 10 of Malaysia shares its list of the nation’s leading homegrown electronics brands, some with names that give not a hint of its homegrown status. In 1961, Cheng King Fa started a modest business in Sekinchan, Selangor trading electrical goods which soon flourished to include manufacturing. Today, KHIND Group, as a public-listed company, has subsidiaries like marketing and distribution arm, Khind-Mistral (M) Sdn Bhd (KM). KM distributes and markets the KHIND brand of consumer electronics and as a leading international brand, it is still under the leadership of Cheng as Founder and Chairman. In 1992, KHIND manufactured more household appliances and the Group ventured into the distribution of audio-visual products and white goods. KHIND constantly seeks to manufacture great innovative products and it distributes its world-class consumer electrical appliances to consumers in over 60 countries worldwide. Dato’ Goh Cheh Yak is Founder and Managing Director of leading healthcare chain and homegrown consumer electronic brand, GINTELL (M) Sdn Bhd which was established in 1996. Today, it has expanded its business and distribution network to over 100 outlets throughout the country and has more than 600 employees. Over the years, GINTELL has invested millions of dollars in brand building and human capital development and combined with its innovative marketing strategies, has laid the foundation for the company’s success. It has also won awards like Superbrands Malaysia Consumers Choice 2006 and Excellence Eagle Award at Golden Eagle Award 2014. Founded by Dato’ Seri Chew Weng Khak in 1965 as Keat Radio and Electrical Co, the company started importing, exporting and distributing electrical home appliances in 1976. Chew then coined the brand name, Pensonic in 1982 as a tribute to his hometown of ‘Penang’ and ‘Sonic’ representing the company’s roots in selling radios. When it commenced manufacturing and marketing products under the Pensonic brand, it became the first homegrown electrical home appliances manufacturer in Malaysia and was listed on the Second Board of Bursa Malaysia Securities Berhad in 1995. Currently exporting to 30 countries, Chew was also honoured as the first recipient of the Putra Brand Personality of the Year Award in 2015. Founded in 1996 by Wong Lee Keong and Lim Poh Kian, OGAWA World Berhad has a chain of health and wellness retail stores selling consumer electronic products for an improved lifestyle. Over the years, this Malaysian-born brand has grown into a leading player in the design, development and marketing of health and wellness equipment committed to encouraging a healthier lifestyle through the creation of high-quality and innovative products. ‘OGAWA’ literally translates to ‘stream’ in Japanese, symbolising a source of life and the desired merging of streams into the boundless ocean. Carrying the philosophy ‘Spring of Wellness’, OGAWA is dedicated to constantly sharing its wellness intelligence with everyone. 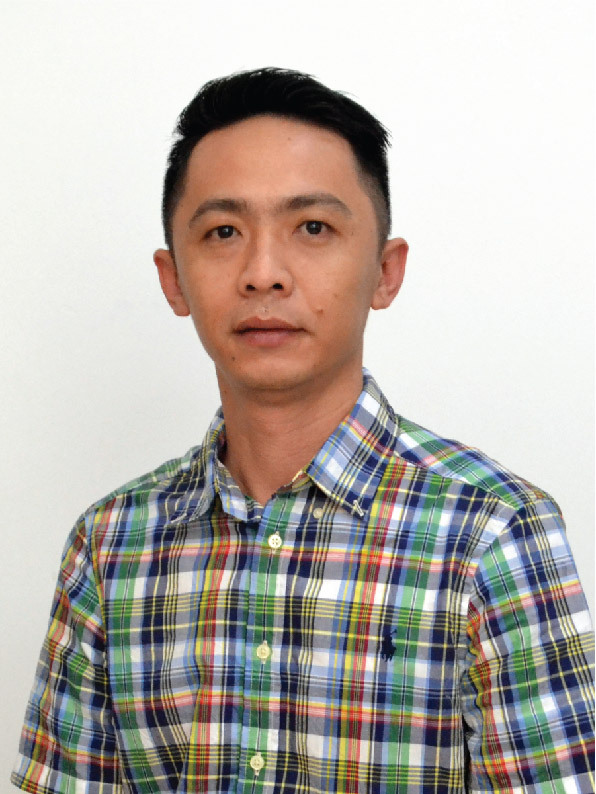 JOVEN Electric Co Sdn Bhd is the brainchild of Managing Director, James Y.G. Tan, who established it in 1983. JOVEN’s core business is manufacturing and distributing consumer electronics like various water heaters such as instant water heaters and storage water heaters. Quality and safety remains top priority for JOVEN as all products are produced in compliance with stringent quality standards set by SIRIM (Malaysia), PSB (Singapore) and TISI (Thailand). As an innovative enterprise that values its people, partners and the community, Tan’s team of over 150 dedicated employees produce reliable JOVEN appliances daily as it continues exporting to over 10 countries. Founded in 1994 by CEO, Tan Boon Eng, Fujiaire (M) Sdn Bhd is the manufacturer of Fujiaire air-conditioners. Formed through a collective of technical and marketing experts from the industry, Fujiaire has revolutionised it since. Keen on innovation, Fujiaire invests heavily in research and development and rightfully so, as Fujiaire was first to introduce ionizer technology in its designs in 1996. Today, its products can be found in 20 countries with offices in six of them. Future expansion plans include moving into countries like Brazil and Argentina and re-investing in company growth. Founded in 2011 by CEO Alan Wong, Vinnpower Distribution distributes the Vinnfier brand of audio accessories with a commitment, drive and passion to become a leader in the market of distributing PC home audio, personal audio, portable audio and other audio accessories in Southeast Asia. In the earlier stages, Vinnfier products were sold mostly in independent stores but due to strong and positive reception from consumers, Vinnfier has made its way into outlets such as Aeon, Carrefour and Tesco. As a main player for audio products in Malaysia and even Southeast Asia, Vinnpower Distribution continuously strives to deliver affordable products with good quality and the latest trends in design. Founded in 1986, Liwida Electric Sdn Bhd produces the LWD brand of products and is owned by Chuah Ah Lam. The company is a market leader in the Malaysian electrical industry as one of the largest wall switch and trailing socket makers in Malaysia. It has successfully transitioned from a trading company to a manufacturer of electrical wiring accessories by establishing a factory in 2002 under LWD Industry Sdn Bhd. Assuring safety, quality, trendy designs, reliability and competitive prices, LWD products are compliant with British Standards and SIRIM Malaysia. Its products include cable boxes, cable clips, telephone sockets, dimmers, integrated adaptors and plug tops, among others. Hesstar Corporation was founded in 1985 by W K Lee and currently manufactures HESSTAR electronic products. Lee first ventured into minor trading of electrical goods and as business prospered, he started distributing Korean electrical products upon acquiring the rights. This led him to form APS-Hessco with a few associates and since then good foresight has led to the development of in-house brand, HESSTAR. Today, HESSTAR continues to bring modern convenience, improve living standards, provide comfort and introduce the latest products in entertainment with its wide range of electrical goods. Founded in October 2009 by Law Kong Eng, EXMobile is a local brand manufacturing mobile devices like handphones and tablets and accessories. As one of the pioneers in Malaysia for this industry, the company has successfully overcome obstacles for the past 7 years when it comes to competing with imported brand and high end brands. This impressive local smart device brand has steadily built a strong presence and provides end to end service for mobile devices. Its management team brings with it 18 years of experience and assists in product design, logistics, technical, distribution and customer service.